A brand spanking new trailer for Lego DC Super-Villains was released today. The game arrives on October 16, 2018 for the Switch! Today, Warner Bros. Interactive Entertainment, TT Games, The LEGO Group and DC Entertainment unveiled a NEW Story Trailer for LEGO® DC Super-Villains, showcasing how one rookie must take on evil and team up with the best of the bad, including The Joker, Harley Quinn, Lex Luthor, Deathstroke, Killer Frost, Sinestro, and countless others, to save the planet! 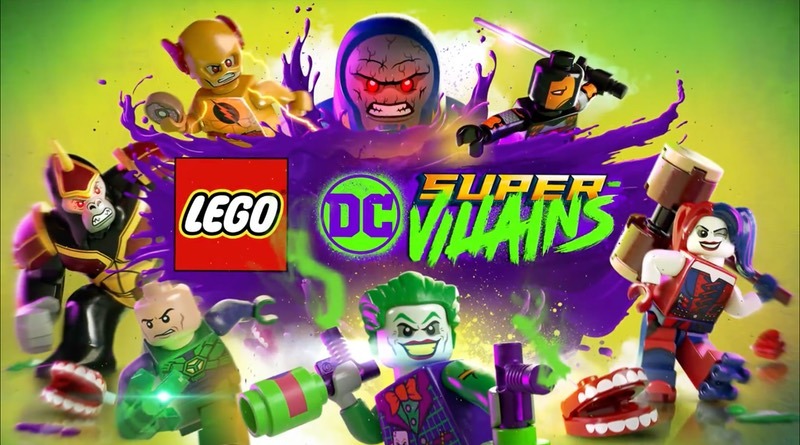 LEGO DC Super-Villains is the first LEGO game to put players at the center of a villain-centric adventure packed with favorite locations and characters from across the DC universe. The game will be available October 16, 2018 for PlayStation®4 computer entertainment system, Xbox One X®, Nintendo Switch™, and PC.